Four years of fraud and a huge amount. It is the end of a long legal series reported by Ouest-France. 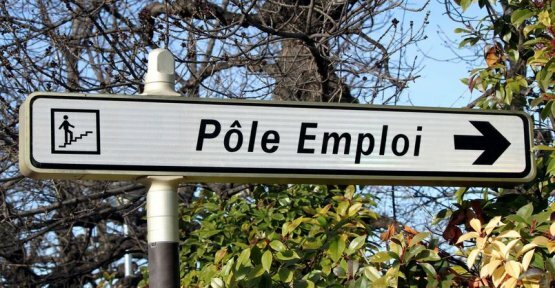 From 1999 to 2003, a inhabitant of Saint-Malo, in Brittany, was granted unemployment benefits paid each month by Pôle Emploi, for a total of 114 000 euros. However, the fake unemployed person was exercising at the same time the profession of advisor communication. The Court of cassation dismissed on 31 January 2019 the last court action after more than 10 years of legal battle. The whole of the sum shall be reimbursed to the Pôle Emploi. Contacted by Le Figaro, the Pôle Emploi has not wished to make comments regarding this decision. To avoid having to repay the amount in case of discovery of the fraud, the fake unemployed had organized donations to his family to organize his insolvency. Thus, in 2001, the Malouin had paid 145 000 € to his son, and by the following 76 000 € to his wife. When, in 2008, the company was placed in liquidation, the fraud is initially discovered and the fake unemployed person is sentenced in the same year by the court for "fraudulently obtaining an unemployment benefit", being deprived of employment or income at the time concerned.
" READ ALSO - Control of the unemployed: how it works elsewhere in Europe? Pôle Emploi is claiming the sum of 114, 000 euros, corresponding to the allowances that have been improperly levied by the fake unemployed. In his defense, the latter part of his insolvency. But in march 2014, the tribunal de Grande Instance, Saint-Malo decides that the sum paid to the son was not opposed to Pôle Emploi. In June 2015, it is the turn of the court of Appeal to decide the same thing for the donation made to the wife. In both cases, the donations have been qualified as fraudulent, because they were designed to escape the seizure the sums payable to Pôle Emploi. The son and the wife of the fake unemployed person, whose accounts had been seized for the first time in December 2015 by the job center, denied the facts, and filed an appeal before the justice. Remedies are therefore to be rejected. The wife and the son of the fake unemployed will therefore have to pay the amount of 114 000 €.